The global economic downturn has accelerated the need to reduce total IT costs through better identification and elimination of wasteful operations and practices. At the same time, IT departments need to better create and implement streamlined processes for delivering new levels of productivity, along with reduced time to business value. But you can't well fix what you can't well measure. And so the true cost -- and benefits -- of complex and often sprawling IT portfolios too often remain a mystery, shrouded by outdated and often manual IT tracking and inventory tasks. New solutions have emerged, however, to quickly improve the financial performance of IT operations through automated measuring and monitoring of what goes on, and converting the information into standardized financial metrics. This helps IT organizations move toward an IT shared services approach, with more efficient charge-back and payment mechanisms. Gaining real-time visibility into dynamic IT cost structures provides a powerful tool for reducing cost, while also maintaining and improving overall performance -- and perception of worth. Holistic visibility across an entire IT portfolio also develops the visual analytics that can help better probe for cost improvements and uncover waste -- and then easily share the analysis and decisions rationale with business leaders. 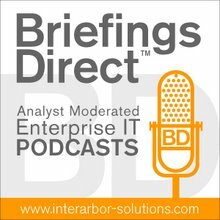 To better understand how improved financial management capabilities can help enterprise IT departments, I recently interviewed two executives from Hewlett-Packard Software and Solutions: Ken Cheney, director of product marketing for IT Financial Management, and John Wills, practice leader for the Business Intelligence Solutions Group. Cheney: The landscape has changed in such a way that IT executives are being asked to be much more accountable about how they’re operating their business to drive down the cost of IT significantly. As such, they're having to put in place new processes and tools in order to effectively make those types of decisions. ... We can automate processes. We can drive the data that they need for effective decision-making. Then, there is also the will there in terms of the pressure to better control cost. IT spend these days composes about 2 to 12 percent of most organizations’ total revenue, a sizable component. Wills: If all of your information is scattered around the IT organization and IT functions, and it’s difficult to get your arms around. You certainly can’t do a good job managing going forward. A lot of that has to do with being able to look back and to have historical data. Historical data is a prerequisite for knowing how to go forward and to look at a project’s cost and where you can optimize cost or take cost down and where you have risk in the organization. So, visibility is absolutely the key. IT has spent probably the last 15 years taking tools and technologies out into the lines of business, helping people integrate their data, helping lines of business integrate their data, and answering business questions to help optimize, to capture more customers, reduce churn in certain industries, and to optimize cost. Now, it’s time for them to look inward and do that for themselves. Cheney: IT operates in a very siloed manner, where the organization does not have a holistic view across all the activities. ... The reporting methods are growing up through these silos and, as such, the data tends to be worked within a manual process and tends to be error-prone. There's a tremendous amount of latency there. The challenge for IT is how to develop a common set of processes that are driving data in a consistent manner that allows for effective control over the execution of the work going on in IT as well as the decision control, meaning the right kind of information that the executives can take action on. Wills: When you look at any IT organization, you really see a lot of the cost is around people and around labor. But, then there is a set of physical assets -- servers, routers, all the physical assets that's involved in what IT does for the business. There is a financial component that cuts across both of those two major areas of spend. ... You have a functional part of the organization that manages the physical assets, a functional part that manages the people, manages the projects, and manages the operation. Each one of those has been maturing its capability operationally in terms of capturing their data over time. Industry standards like the Information Technology Infrastructure Library (ITIL) have been driving IT organizations to mature. They have an opportunity, as they mature, to take advantage and take it to the next level of extracting that information, and then synthesizing it to make it more useful to drive and manage IT on an ongoing basis. Cheney: IT traditionally has done a very good job communicating with the business in the language of IT. It can tell the business how much a server costs or how much a particular desktop costs. But it has a very difficult time putting the cost of IT in the language of the business -- being able to explain to the business the cost of a particular service that the business unit is consuming. ... In order to effectively asses the value of a particular business initiative, it’s important to know the actual cost of that particular initiative or process that they are supporting. IT needs to step up in order for you to be able to provide that information, so that the business as a whole can make better investment decisions. Wills: One of the things that business intelligence (BI) can help with at this point is to identify the gaps in the data that’s being captured at an operational level and then tie that to the business decision that you want to make. ... BI comes along and says, "Well, gee, maybe you’re not capturing enough detailed information about business justification on future projects, on future maintenance activity, or on asset acquisition or the depreciation of assets." BI is going to help you collect that and then aggregate that into the answers to the central question that a CIO or senior IT management may ask. Virtual computing, cloud computing, and some of these trends that we see really point towards the time being now for IT organizations to get their hands around cost at a detailed level and to have a process in place for capturing those cost. operating much more as a business that will get actionable cost information. They can directly look at how they can contribute better to driving better business outcomes. So, the end goal is to provide that capability to let IT partner better with the business. ... The HP Financial Planning Analysis offering allows organizations to understand costs from a service-based perspective. We're providing a common extract transform load (ETL) capability, so that we can pull information from data sources. We can pull from our project portfolio management (PPM) product, our asset management product, but we also understand the customers are going to have other data sources out there. They may have other PPM products they’ve deployed. They may have ERP tools that they're using. They may have Excel spreadsheets that they need to pull information from. We'll use the ETL capabilities to pull that information into a common data warehouse where we can then go through this process of allocating cost and doing the analytics. Wills: We really want to formalize the way they're bringing cost data in from all of these Excel spreadsheets and Access databases that sit under somebody’s desk. Somebody keeps the monthly numbers in their own spreadsheets in a different department and they are spread around in all of these different systems. We really want to formalize that. ... Part of Financial Planning and Analysis is Cost Explorer, a very traditional BI capability in terms of visualizing data that’s applied to IT cost, while you search through the data and look at it from many different dimensions, color coding, looking at variants, and having this information pop out of you. Cheney: [Looking to the future], in many respects, cloud computing, software as a service (SaaS), and virtualization all present great opportunities to effectively leverage capital. IT organizations really need to look at it through the lens of what the intended business objectives are and how they can best leverage the capital that they have available to invest. Wills: Virtual computing, cloud computing, and some of these trends that we see really point towards the time being now for IT organizations to get their hands around cost at a detailed level and to have a process in place for capturing those cost. The world, going forward, obviously doesn’t get simpler. It only gets more complex. IT organizations are really looked at for using capital wisely. They're really looked at as the decision makers for where to allocate that capital, and some of it’s going to be outside the four walls.